Walk into any bowling club, and you’ll likely see people playing out on the green, having some fun and sharing food or drink inside the club house. What you can’t see, the underlying fabric of the club is so much more complex, and to me, so much more important especially when it comes to mental health. I grew up in and around a bowling club – the connections and foundations built are treasured by me even now, and these same community connections have supported me, and others, in times of challenges to mental health. Speaking in a general sense, I have seen time and time again members of bowling clubs find solace and support in the camaraderie provided by their fellow members in times challenging to their mental health – times such as a recent divorce, people losing close family members or even just going through a tough time of it in general day to day life, all turning to the relationships and support built within the walls and on the greens of your every-day bowling club. The connections made in a bowling club, in all community clubs really, are not just bonds of friendship, but family, whatever you make of it. Honorary family members created through the bond of community providing support in whatever form may be needed – whether it’s a drink at the bar, or a listening ear over a meal, volunteering, having a sense of purpose, even just the simple activity of putting a bowl down outside in the sun with a mate and having a chat. Bowling Clubs provide an outlet for more than just sport, their sense of community and impact on their member’s and participants mental health can benefit people in so many ways. A recent study in Australia showed that rates of loneliness have remained fairly stable at 17% for the last seven years and in line with this, approximately 9.5% of people reported a lack of social support over the past 10 years*. This loneliness could potentially be alleviated just by joining a community group, such as a bowls club, becoming a member or a visitor, even just for the social side, has so many more benefits. I encourage everyone to invite a neighbour, colleague or acquaintance to come out to your local bowling club, for a meal, a drink or to put a bowl down. One of the unique characteristics of a bowling club is the ability for people of all ages to be able to participate – and participate against, or with, each other, it wouldn’t be uncommon to see a 12 year old playing in the same team as a 70 year old. This characteristic enables members with different experiences at varying stages of life to share their knowledge and life experience with others and the broader community, family environments that can be developed, these bonds forged amongst otherwise unrelated or unconnected people have a subtle but important impact on their mental health. Some bowling clubs have grown this community connection even further and are delving into more opportunities to support members mental health – such as Millswood Bowling Club’s ‘Hug it out’ initiative. I certainly don’t want to be seen as saying that we have the solution and everything is perfect in lawn bowling communities – communities in themselves come with their own set of challenges as well as positives but, for me, the benefits far outweigh the possible challenges. Bowls SA are starting to develop training and support resources to equip member clubs in Mental Health First Aid in order to even further support members and visitors to their clubs and if we can expand our education to assist our bowling clubs in supporting just one more member or visitor facing mental health challenges, then really, aren’t we all winners? 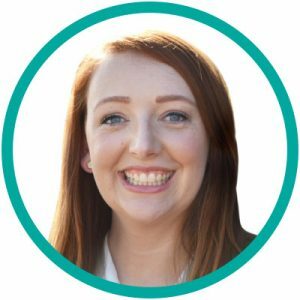 Erin is the Operations Manager at Bowls SA, with a passion for developing a positive and sustainable culture within sport and workplaces. With a 10 year career in sport and recreation, with 5 years as Operations Manager at Bowls SA, she oversees all operational aspects of lawn bowls within South Australia, including major events, participation and elite athletes, managing the operations team to facilitate this. Also a previous State Representative, Erin is passionate about the role of sport and the benefits of participation within the community.